While holidays can be special times to become engaged, Christmas proposals must be carefully orchestrated to avoid hurt feelings and awkward embarrassment no matter what the woman's answer may be. When planning a Christmas proposal, the first consideration is which day to pop the big question. For some families, the majority of the celebration occurs on Christmas Eve with a traditional dinner, gift exchange, church service, or other annual ritual. In other families, the true holiday begins on Christmas morning. If you want a private proposal, the best bet is to opt for the day without the larger celebration, while a public proposal necessitates the day when everyone is gathered. Another consideration is where you will be that day - traditionally, a public proposal should occur with the bride-to-be's family, and that consideration should take precedence over which day you propose. If your beloved is not close to her family, however, other arrangements are acceptable. The Proposal: Public or Private? Christmas celebrations invariably involve family and friends. 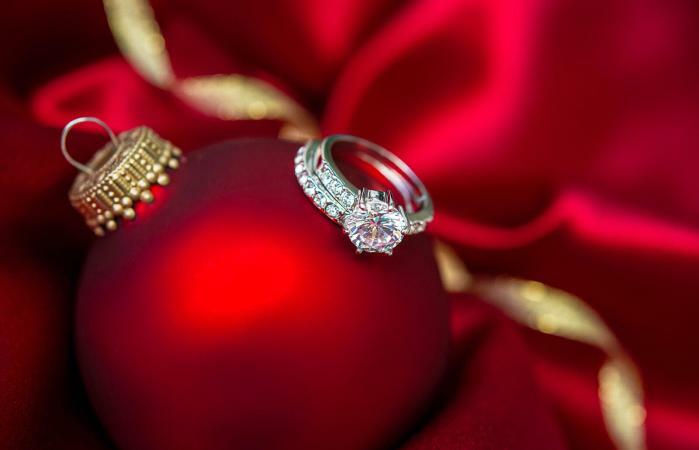 If you want to propose during the holiday season, specifically near either Christmas Day or Christmas Eve, you must consider whether a public or private proposal would be more suitable. If you do opt for a public proposal, be sure you have carefully judged your sweetheart's reaction before asking the question. She may prefer a more private, intimate proposal followed by a public revelation. Furthermore, while a new engagement can add more significance and joy to a holiday celebration, a public rejection can awkwardly taint the holidays for everyone present. A private proposal will not likely remain private for long because friends and family are visiting during the holidays. You can quickly spread the news of your engagement and add to the seasonal joy. If, however, the proposal is rejected or she needs time to consider her answer, a private proposal spares both individuals the embarrassment and awkwardness of public pressure. Once you have proposed and she has accepted your offer, it is time to spread the news to family and friends with engagement announcements. Of course, a public proposal does this automatically, but you still need to contact the absent relatives via telephone, e-mail, or written note before they find out from other people. If you do choose to spread the word through the mail, never send a formal announcement, particularly to close relatives or friends. Formal wording will seem cold and distant, particularly during the holiday season when they were not privileged to be a part of the event. After a private proposal, you can inform people of your new engagement through a holiday toast at dinner, or simply by making the announcement at a party. If you are not able to make a group announcement, sending holiday thank you cards is the perfect way to inform everyone of the change in your relationship. Likewise, telephone calls and e-mails are also perfect announcements. The holiday season is filled with magic, wonder, and joy. 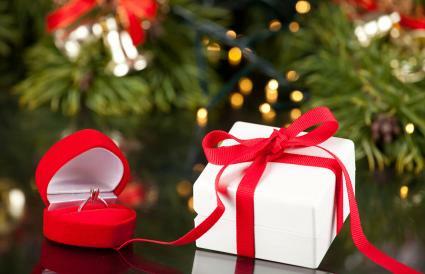 Many couples choose to add romance to that special feeling by becoming engaged during the season. Whether you choose a public or private Christmas proposal, the special moment when she says "yes" will always be a treasured holiday memory.